TAIPEI, Taiwan – Super Micro Computer, Inc. (NASDAQ: SMCI), a global leader in enterprise computing, storage, networking solutions and green computing technology, today announced that it is among the first to adopt the NVIDIA® HGX-2 cloud server platform to develop the world’s most powerful systems for artificial intelligence (AI) and high-performance computing (HPC). From natural speech by computers to autonomous vehicles, rapid progress in AI has transformed entire industries. To enable these capabilities, AI models are exploding in size. HPC applications are similarly growing in complexity as they unlock new scientific insights. Supermicro’s HGX-2 based systems will provide a superset design for datacenters accelerating AI and HPC in the cloud. 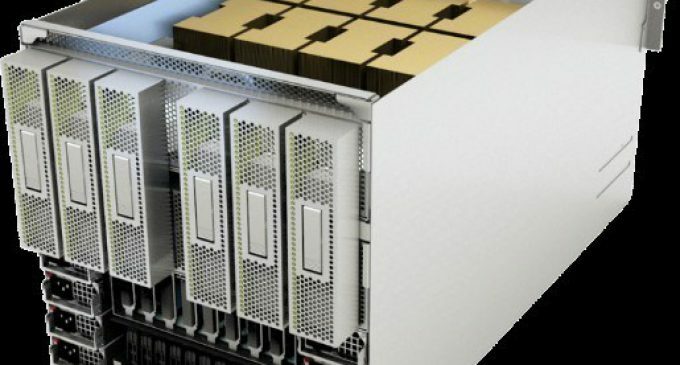 With fine-tuned optimizations, Supermicro’s HGX-2 server will deliver the highest compute performance and memory for rapid model training. For comprehensive information on Supermicro NVIDIA GPU system product lines, please go to https://www.supermicro.com/products/nfo/gpu.cfm.